Celebrating the milestone that is a ten year anniversary, Dimmu Borgir’s In Sorte Diaboli turned ten on April 23rd. 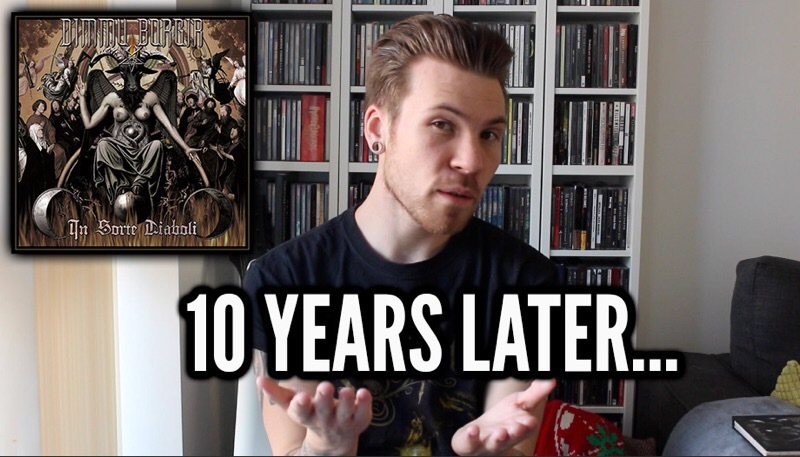 A landmark album for the band and vicious statement of Black Metal intent, join me as I look back at the record ten years on. Set to release their brand new DVD this Friday,Dimmu Borgir will begin a brand new chapter in their career. Seemingly emerging from their post Abrahadabra cryostasis the band will be unveiling their latest DVD Forces of The Northern Night. Nevertheless way back in 2007 the band would release their excellent In Sorte Diaboli. A stab at the concept album, the record revolves around a rogue priest shall we just say. One of the high points in the bands long career it was a personal favourite of mine in my formative years of being sixteen. I even remember going with fellow Metalist Chris to see the band headline The Forum, with Amon Amarth as support. Oh how times have changed! Join me this month in celebrating their Stormblasting, Death Cult conjuring In Sorte Diaboli and make sure to subscribe for next months ten years on release! Dimmu Borgir’s forthcoming DVD Forces of The Northern Night is out April 28th via Nuclear Blast and you can pick up a copy here!